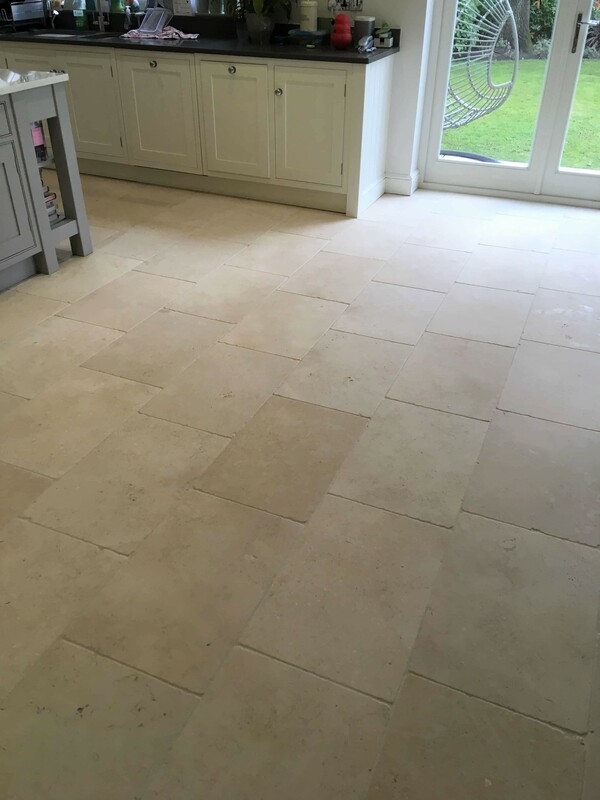 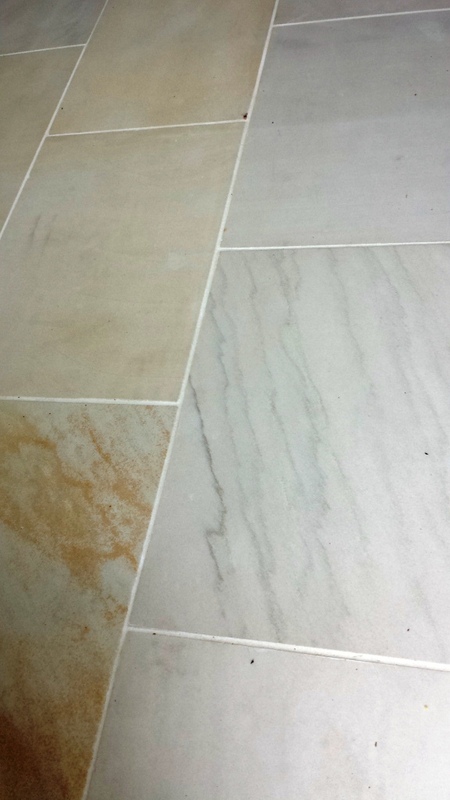 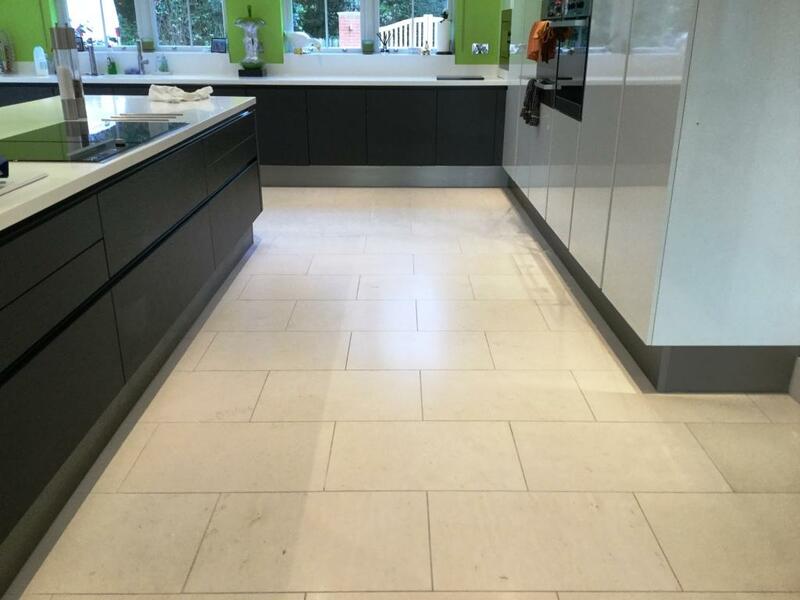 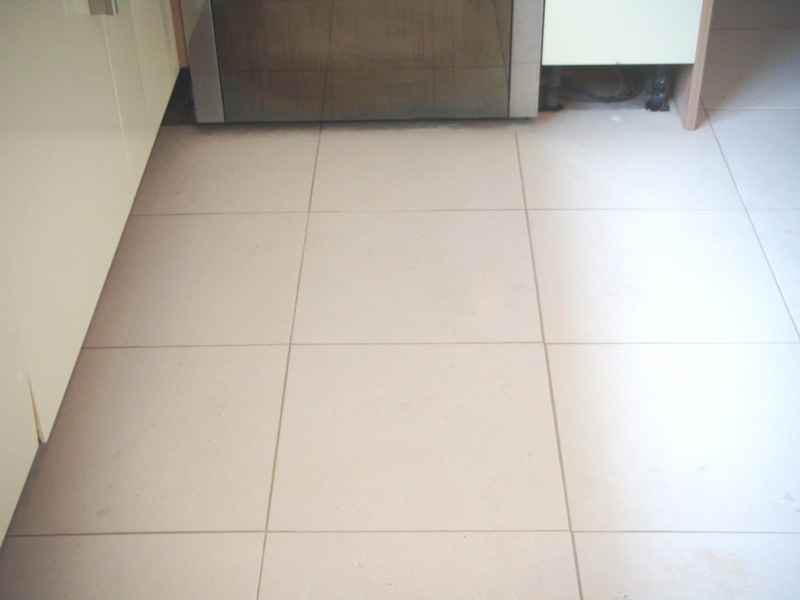 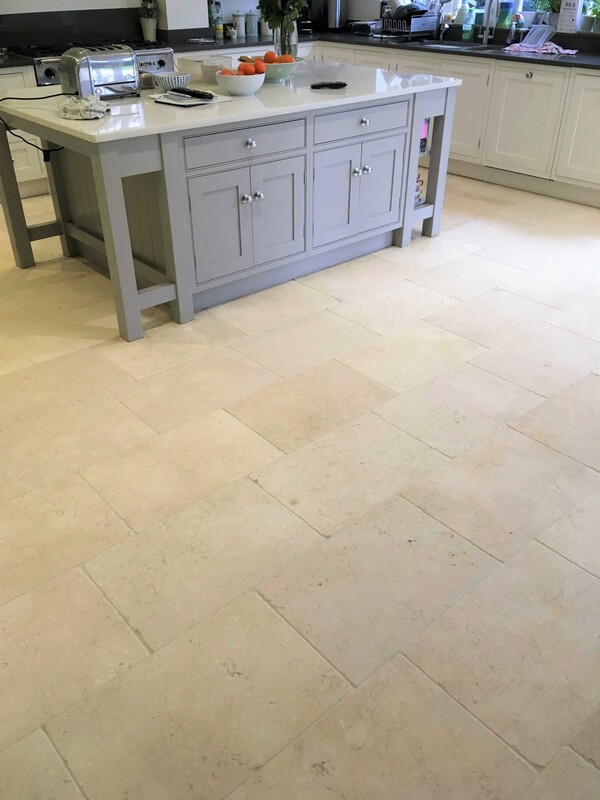 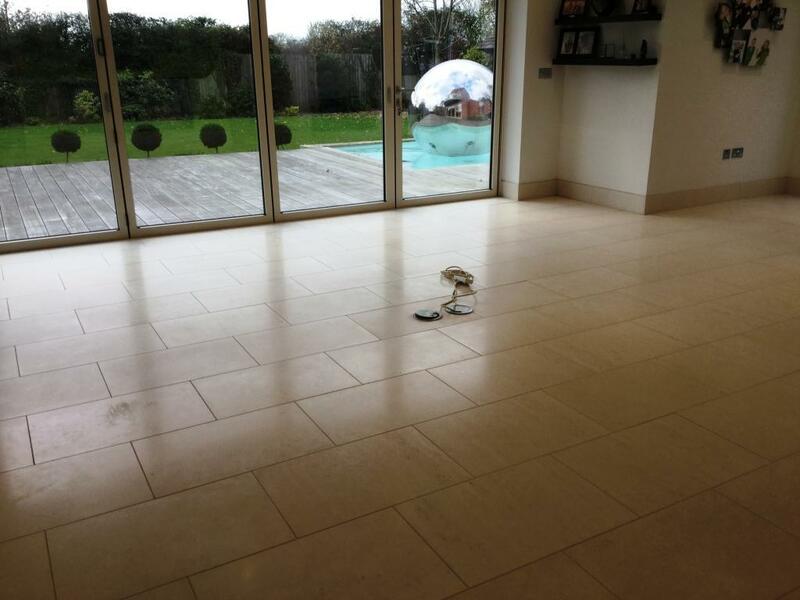 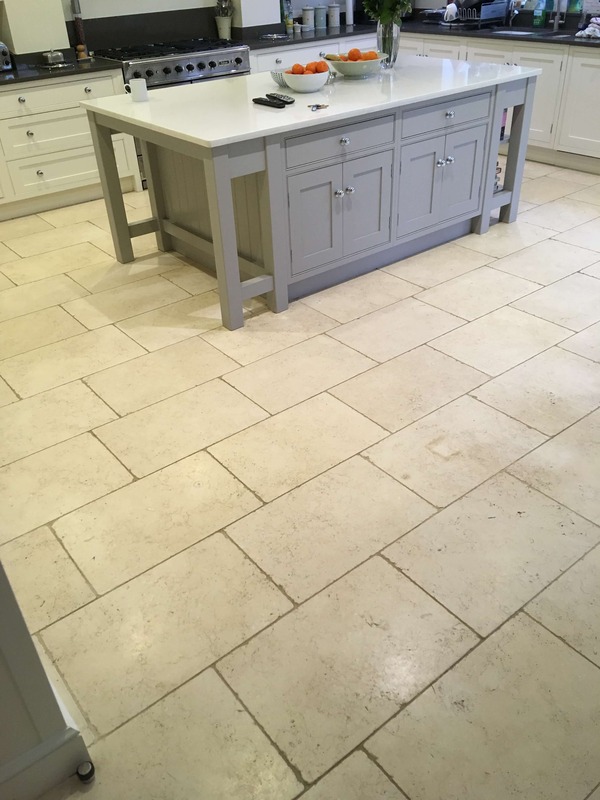 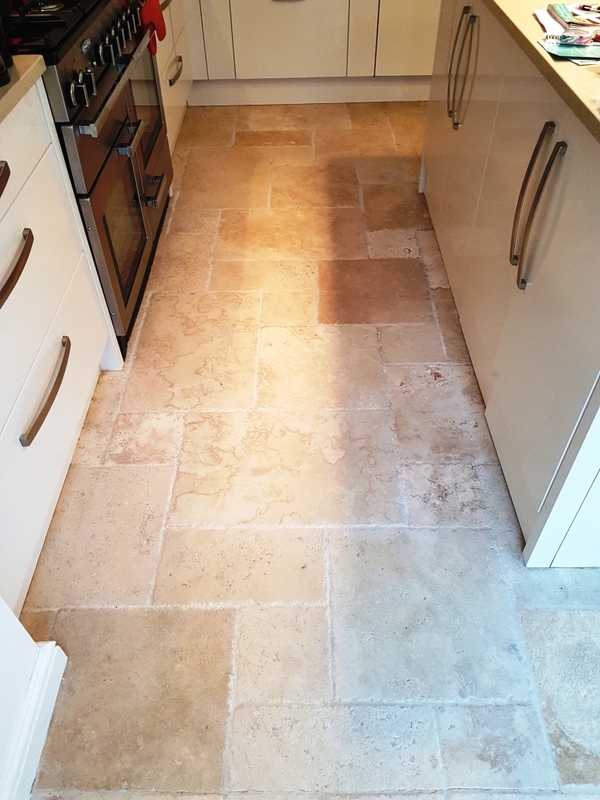 This wonderful Limestone tiled floor was installed in the kitchen of a house near the town Staines where it had become dirty and tired, helped I might add by the customers dog who loved to swim in rivers and get muddy at every opportunity. 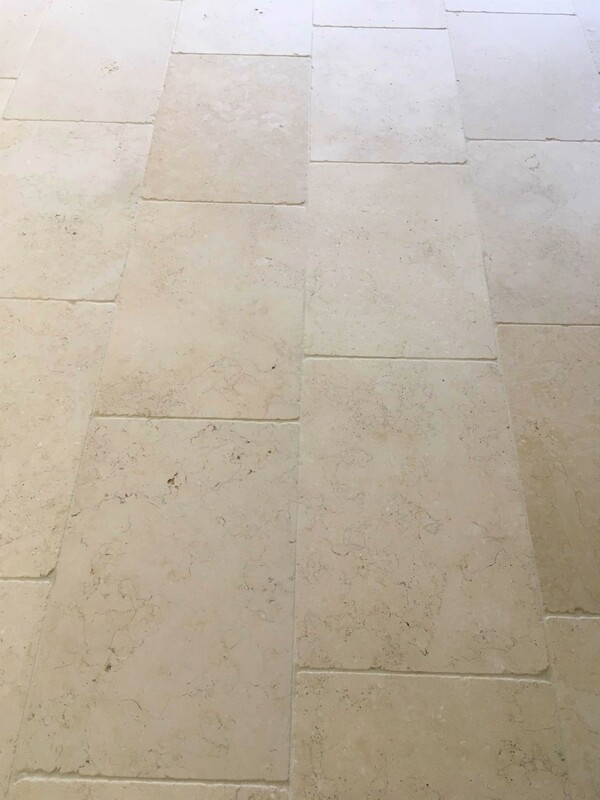 The customer was struggling to clean the floor, the grout lines wouldn’t come clean and after spending hours scrubbing with a tooth brush and getting nowhere she called Tile Doctor. 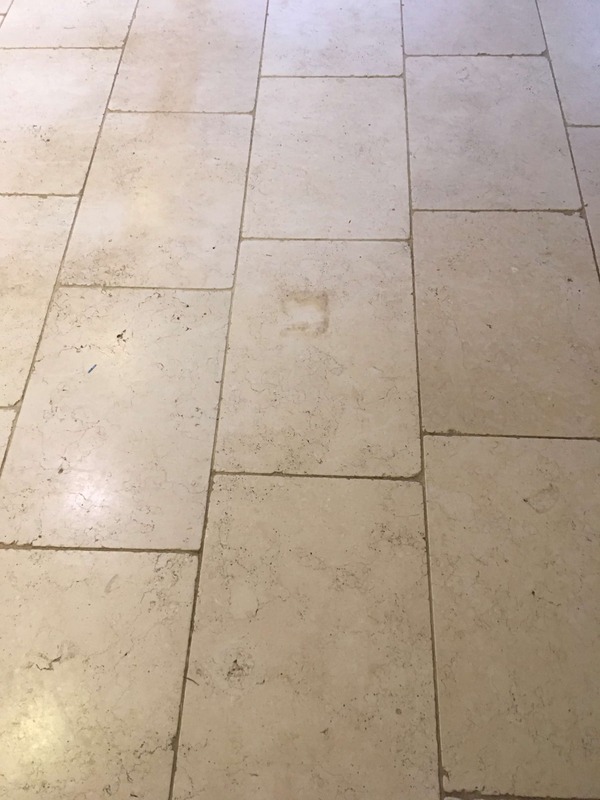 The floor was clearly in need of a deep clean and re-seal a very mild dilution of Tile Doctor Pro-Clean applied liberally across the floor and allowed to dwell and penetrate through the soils engrained into the grout. 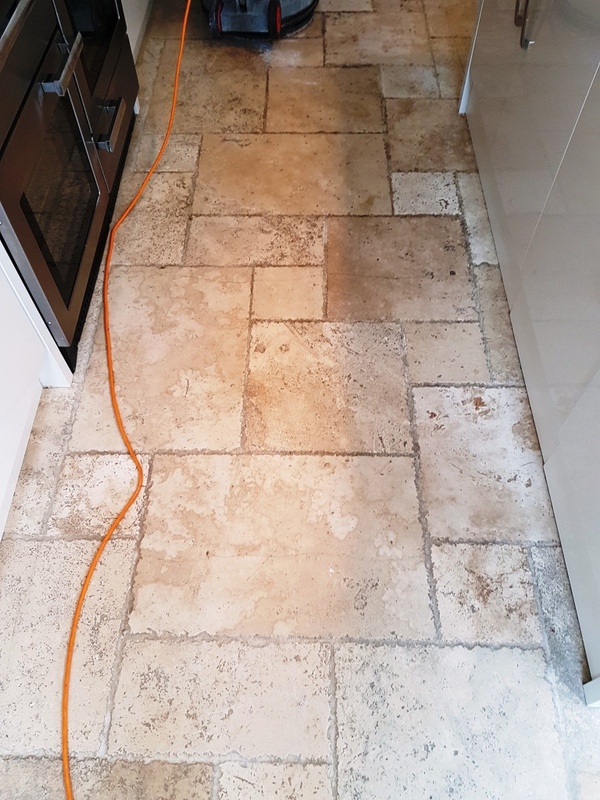 The grout lines were scrubbed with a specialist grout brush to release the soil and a rotary machine with a nylon deck scrubbing brush was used to release the soils from the Limestone tiles. 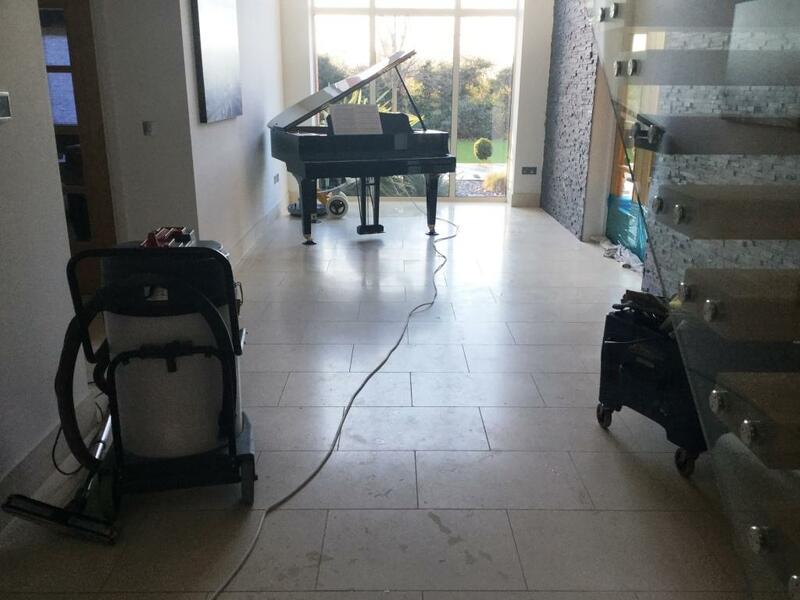 After approximately half an hour of scrubbing, the Limestone floor was extraction cleaned using our truck mounted clean and capture system. 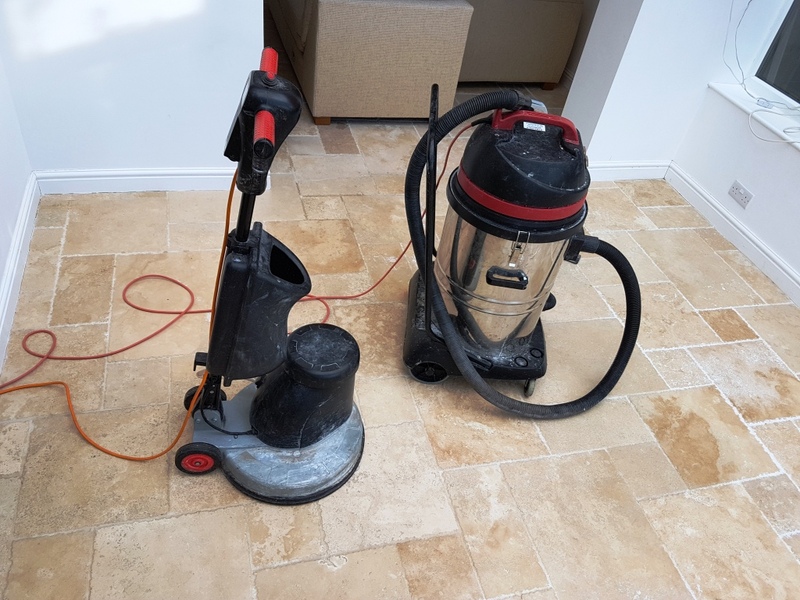 This system combines heat, pressure, and vacuum extraction to gently blast engrained soils away from the limestone and the grout lines. 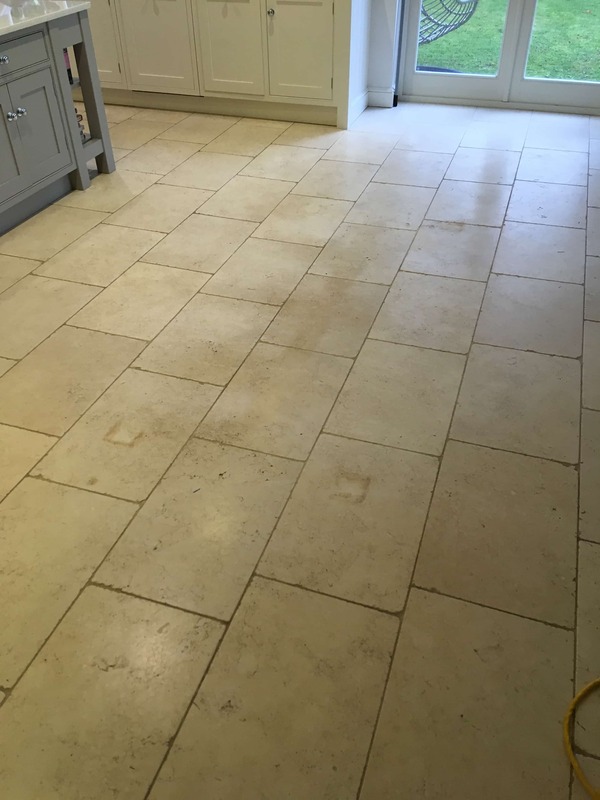 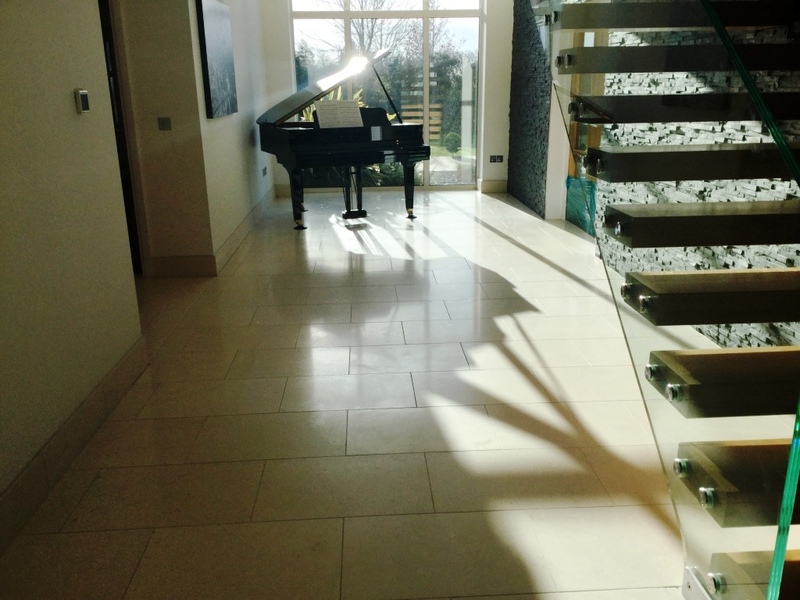 To get the Limestone really clean a two pad diamond burnishing process was used; normally we use four pads however the customer did not want the stone to be too shiny and reflection was already starting to happen after the second pad had been applied. 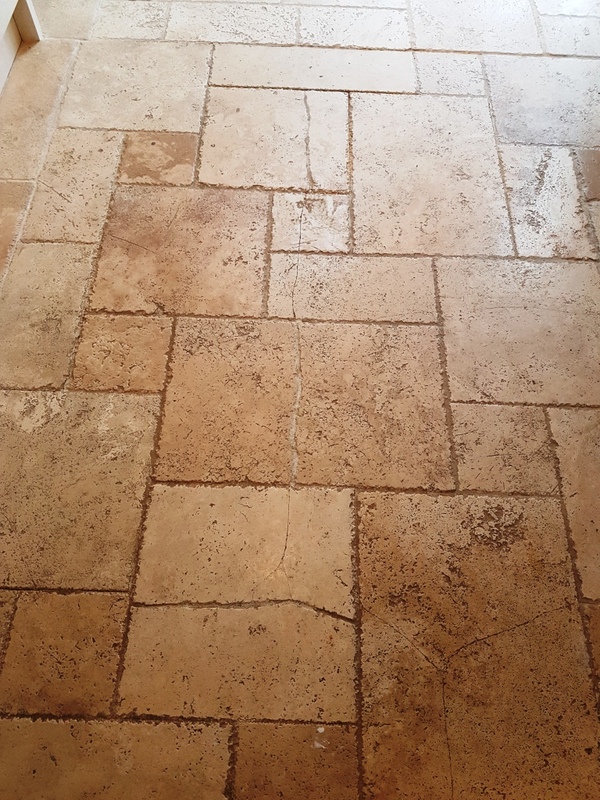 Using diamonds to refinish calcium stone such as marble, travertine and limestone is the modern chemical free solution to restoring the surface of sedimentary stones. 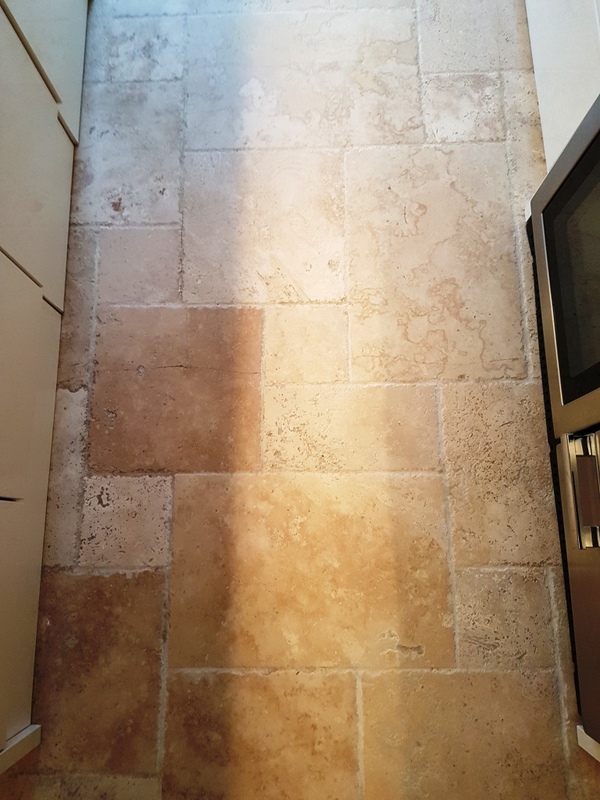 After deep clean and refinishing the surface of the limestone, it was allowed to dry for a period of 36 hours, after this a liberal coat of Colour Grow which is a solvent based impregnator was applied to the stone. 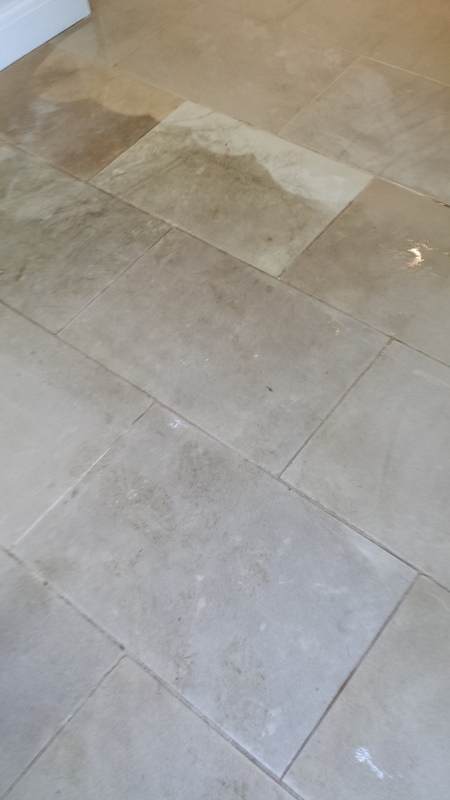 The sealer was allowed to sit on the surface of the stone for approximately 5 minutes before the excess was buffed away. 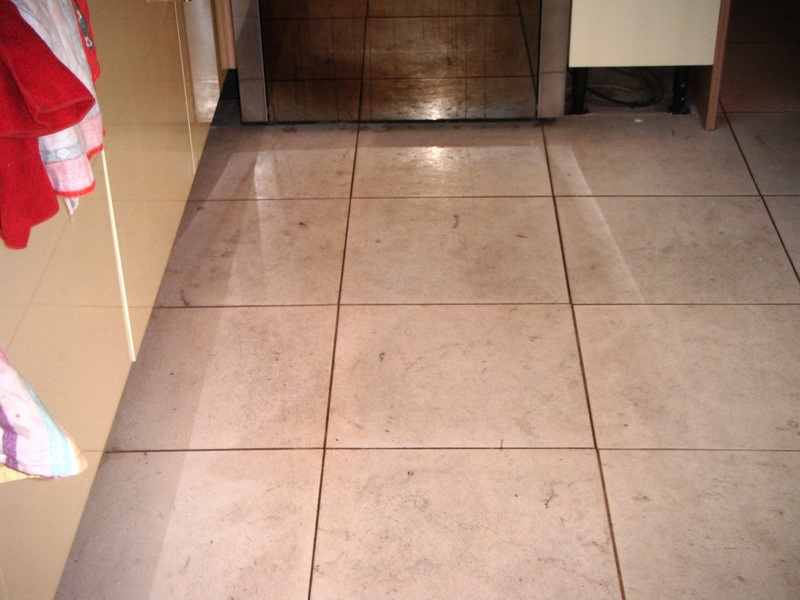 Buffing the excess away is important to ensure a great, smear free finish. 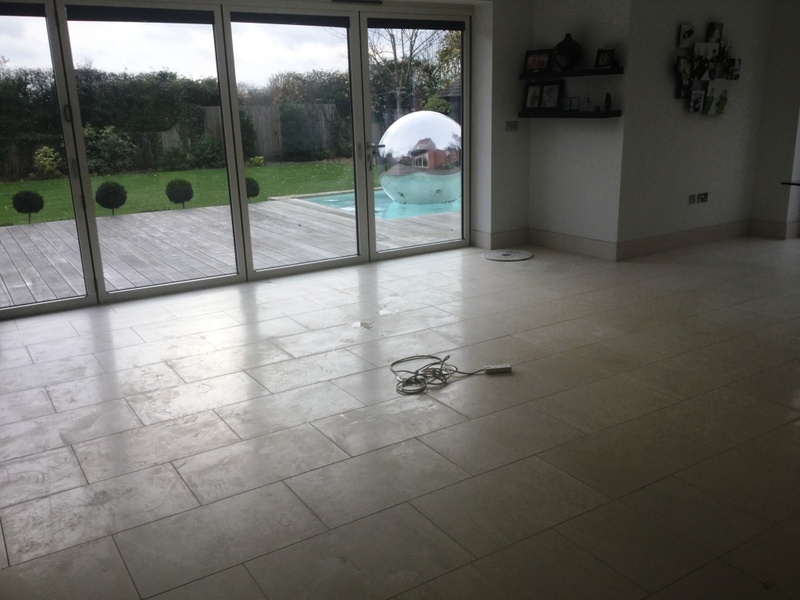 Before leaving we recommended a system to care for the floor to ensure is continues to look as good as the day we left. 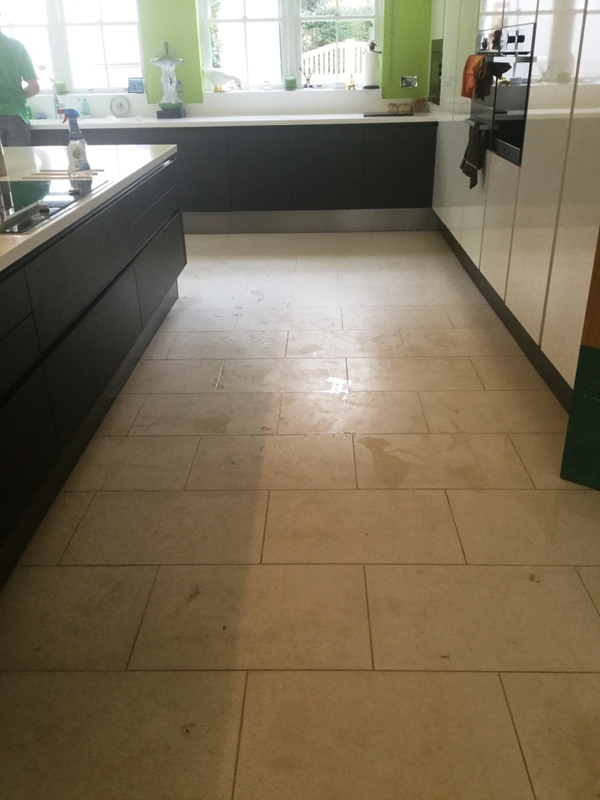 Also we recently contact the client to check everything was ok and I’m proud to confirm they are still really pleased with the floor and after professional cleaning and sealing is now finding the floor is much easier to clean and maintain herself.